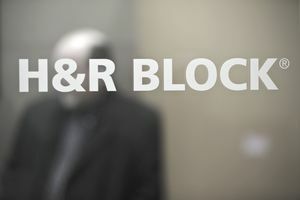 Is H&R Block the Best Choice for Preparing Your Taxes? Otherwise, it can help to understand the differences between a tax service and an independent accountant if you’re self-employed, have multiple investments or multiple sources of income. H&R Block states on its website that its tax professionals have access to its Tax Institute, which is “staffed primarily by CPAs, enrolled agents, tax attorneys and former IRS agents.” This is a good thing—there’s lots of experience there. But it begs the question: What’s the expertise of the individual who will actually be preparing your tax return? When and why should this person reach out to the professionals who are manning the Tax Institute? They’d reach out when they have questions that their training has not prepared them to answer. H&R Block tax professionals go through some rigorous training. They must complete a 14-level certification program and take at least 15 hours of continuing education a year. But they're not necessarily accountants. An independent accountant may or may not be a certified public accountant. A CPA must complete 150 hours of coursework at an accredited institution, then pass the Uniform CPA exam and meet certain experience requirements. A "regular" accountant with a bachelor’s degree typically has completed only about 120 hours of coursework and has not have taken these extra steps. Neither of these levels of education, experience and training are required of H&R Block tax professionals. If you decide that you don’t need a CPA to prepare your tax return, an independent accountant will typically offer reasonably priced services with a focus on personalized help and building an ongoing relationship. If you need your taxes done in a hurry or you want the convenience of dropping by an office without an appointment, going to a retail tax office like H&R Block is ideal. Independent accountants often work by appointment only, and popular accountants might schedule appointments up to a year in advance. Both retail and independent tax preparers tend to charge about the same for their services, so your choice should be based on your needs for convenience, location and expertise. Call ahead to determine price ranges. Above all, you should expect your tax accountant to be helpful, courteous and knowledgeable. Of course, you have still another option if your tax situation is pretty black-and-white. Most retail tax preparation services offer software or online programs so you can do your own taxes for a modest fee. The programs guide you through the process and some even have staff available to answer your questions if you run into a problem. The decision is ultimately a personal one and based on the complexity of your return.